The villa heaven, is located on the southern side of Paros, between the famous wind surfing beach “Golden Beach” and between the organized Farangas beach. The villa has been built, upon a hill, looking over Glifa beach and Tripiti beach. A complex of four small villas built upon three levels offering 2 - 3 bedrooms, 2 bathrooms, a fully equipped kitchen, living room, verandas that each have a sea view, a common shared children's playground and a shared swimming pool. Each villa can accommodate 5 - 7 people. An independent farmhouse of 92 m2 with the ability of renovating an extra 30 m2 is for sale on Paros! 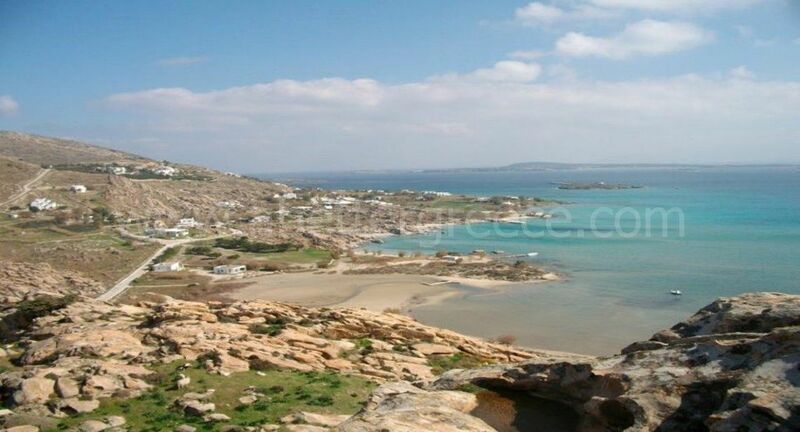 The land belonging to the property is 1.100 m2 and the property offers a terrific sea view! The house is livable but it is old fashioned and a renovation would make it a small paradise. A swimming pool can be placed on the land as the house has been built with an old building permit.